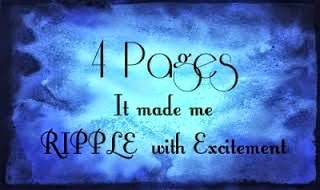 This is a a book for those readers who want to be transported into their stories right away. Because this story packs a great many elements of high fantasy into a very slight 279 pages. Authoress Chloe Jacobs leaves very little wiggle room for long winded diatribes or meandering plots,common to the genre. Choosing instead, to draw readers in with vibrant, flawed, and very complex characters. A lightening speed pace, and enough plot twists to leave one dizzy. Leading lady Greta offers readers a hero to champion, a lost girl to fret over, and an enchanting love interest. 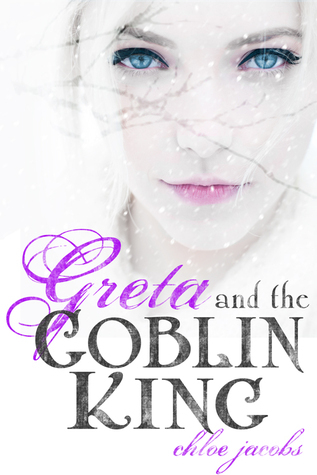 Leading man Isaac, is mysterious, alluring, secretive, fierce, loyal, magical, manipulative...and a Goblin King. Isaac is a character to love simply for shock value; if nothing else. There are so many facets to him however, that he is simply spectacular. This book is based on a "golden one" trope. Meaning that Greta is the one that can either save Myleana, or destroy it. What makes this story so appealing, is the fact that readers can never be completely sure which side of the coin she's on. Or even if she truly has a side at all. What one can be sure of though, is the attraction between Isaac and Greta. Whenever these two share scenes, sparks fly! There is a bit of a love triangle between Greta, Issac, and a certain kind, sweet, understanding, lostboy. This story element is where things that have been fantasy for so long to Greta, suddenly become very real. Bring on the feels, baby! Discoveries, revelations, choices, and emotions abound! The world bulding and baddie are the only areas of the story that didn't come into razor sharp focus. Because this is the first book in a series however, there is plenty of time for their development in later books. Raw, exhilarating, emotionally charged, and action packed! Greta And The Goblin King! Hmmm...one of my very early favorites was Snow by Tracy Lynn! It was so different and unique, but it remains a favorite of mine! Great review!!! Thanks so much for joining the Greta and the Lost Army blog tour!! !